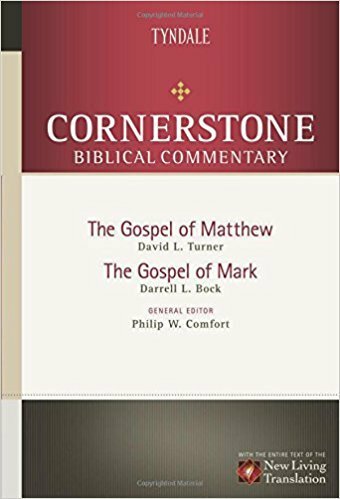 The Cornerstone Biblical Commentary series (18 volumes) is the product of nearly 40 scholars, many of whom participated in the creation of the NLT. The contributors to this series, who are well-known and represent a wide spectrum of theological positions within the evangelical community, have built each volume to help pastors, teachers, and students of the Bible understand every thought contained in the Bible. In short, this will be one of the premier resources for those seeking an accessible but fairly high-level discussion of scriptural interpretation. David L. Turner, PhD, is a graduate of Cedarville University, Grace Theological Seminary (ThD), and Hebrew Union College—Jewish Institute of Religion, Cincinnati (MPhil, PhD candidate). He has been professor of New Testament at Grand Rapids Theological Seminary since 1986 and has previously published several articles on the Gospel of Matthew. Darrel L. Bock, PhD (University of Aberdeen), is research professor of New Testament Studies at Dallas Theological Seminary. His special fields of study include the use of the Old Testament in the New Testament, Luke—Acts, the historical Jesus, and the integration of theology and culture. Among his most recent publications are Breaking the Da Vinci Code (New York Times best-seller, May 2004), and a two-volume commentary on Luke (Baker). This volume is also available as part of the Cornerstone Biblical Commentary Old & New Testament Set, and the Cornerstone Biblical Commentary New Testament Set.